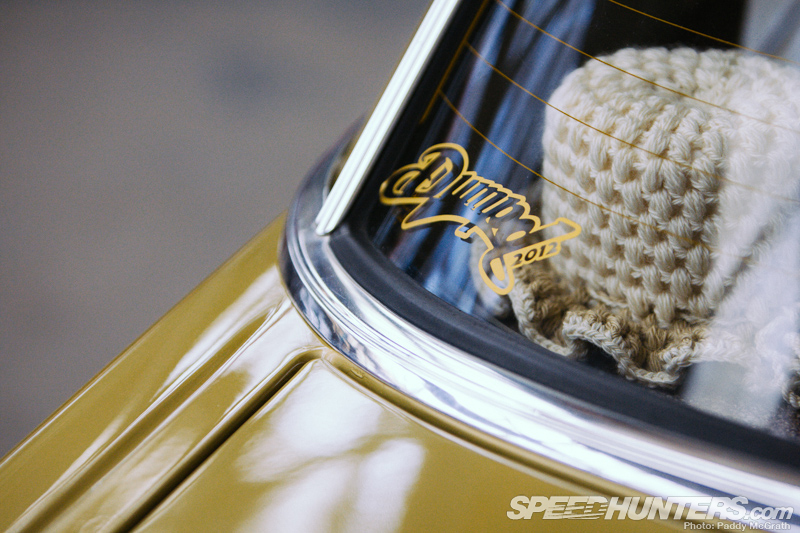 As Speedhunters, we are tasked with keeping an extremely close eye on the global spectrum of car culture. 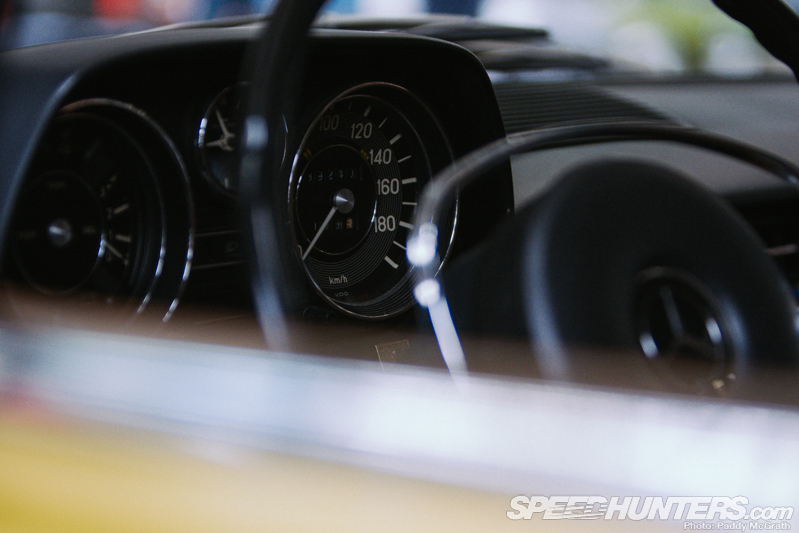 For us, it’s about uncovering cool new builds big and small, looking at the latest project cars and parts from the aftermarket industry, digging into archives to find unique stuff from the past, and more. Another thing we often find ourselves doing is busting out the crystal ball and trying to predict what the next big thing will be. Sometimes these predictions come true and sometimes they don’t. 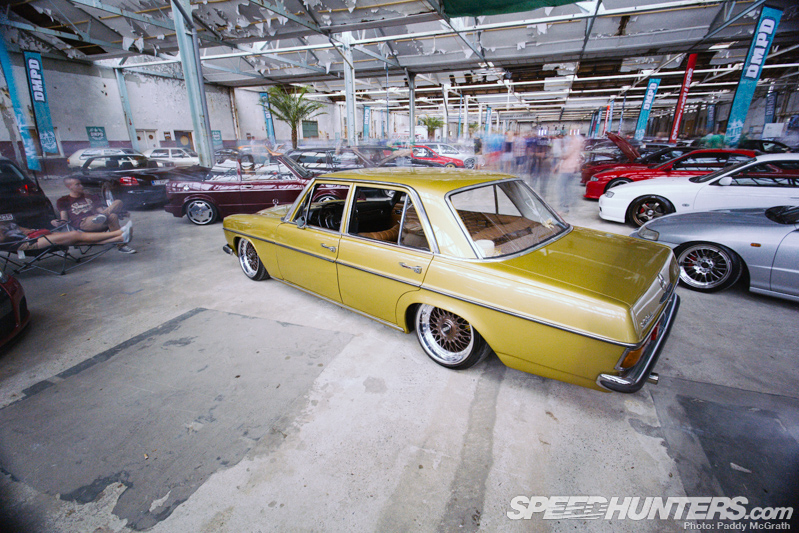 For a long time, I’ve personally been waiting for big-bodied European luxury cars from the 1970s and 1980s to get the attention they deserve by custom builders. 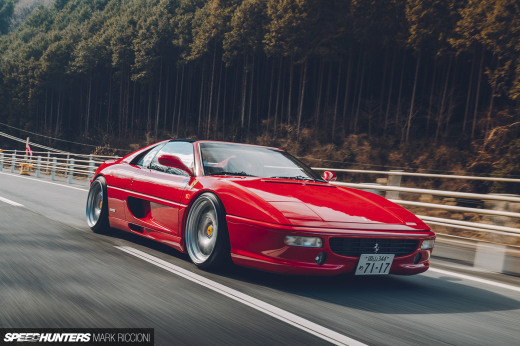 When you think about it, there are so many things about Mercedes, Jaguars and other luxury machines from this era that make them great build candidates. First of all (and perhaps most importantly) they are cheap – usually selling for a miniscule fraction of their original MSRP (factoring in inflation of course). I can’t speak for everywhere, but here in California I often see these old Jags and Benzes selling for a few grand or less in good running shape. Should you buy one of these things, you’ll be getting a lot for your money. 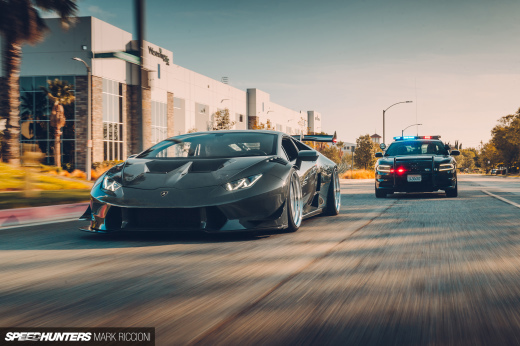 Despite their age, these cars are generally built very well and in most cases are robust enough to handle plenty of extra horsepower. As far as powerplants go, some cars will need more attention than others – but there’s no shortage of aftermarket parts and motor swap options out there to fill their spacious engine bays. 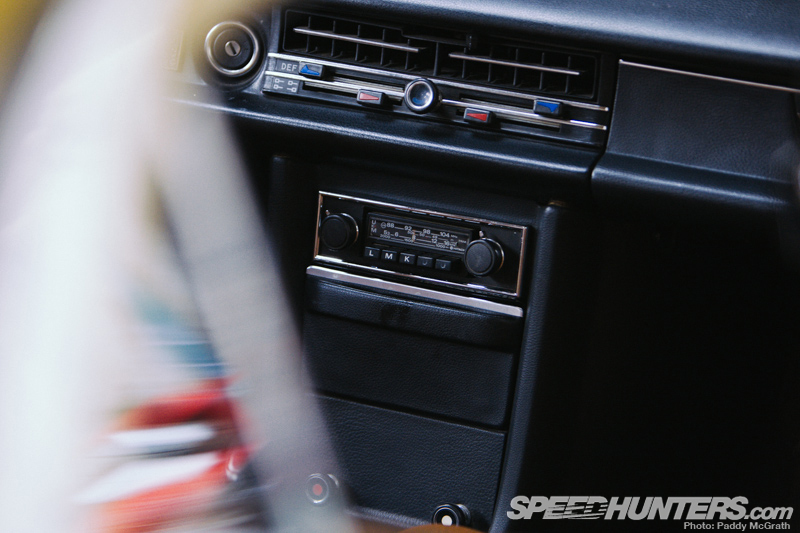 … and the interior. 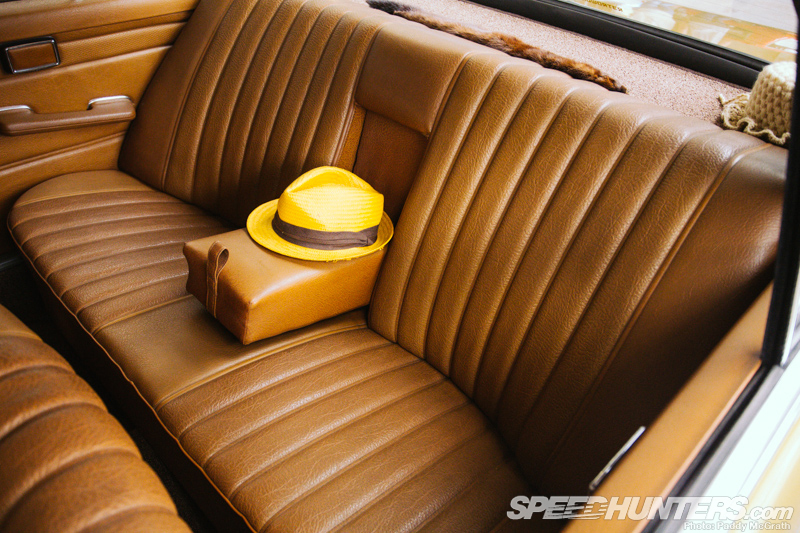 Open the door on one of these cars and you’ll be greeted by the aroma of leather and an overall feeling of class that I think is missing from many of today’s tech-laden luxury cars. Toss in the fact that you’ll have plenty of room inside to go cruising with your friends and you have what I think are some of the most underrated build platforms out there. 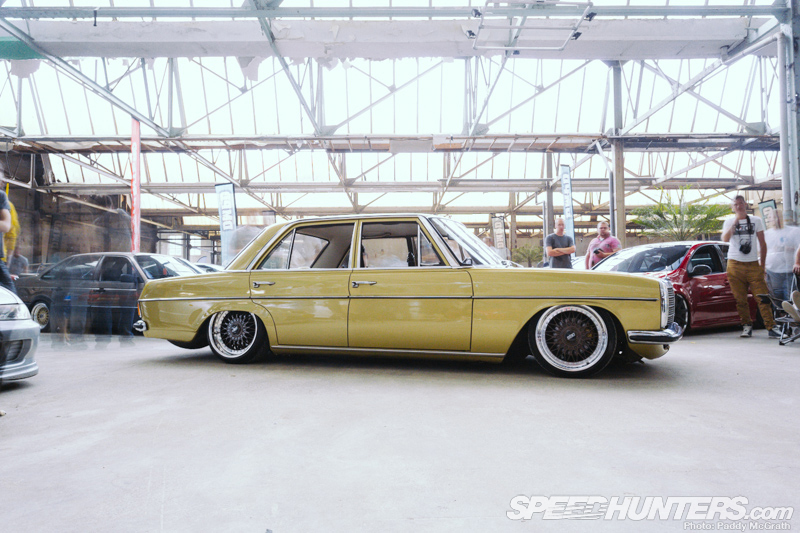 Of course, there are some people who have already discovered of potential of these old school Euro sleds and one of them is Vern Van de Weyer, the owner of this W115 Mercedes-Benz we spotted at the recent DMPD event in the Netherlands. 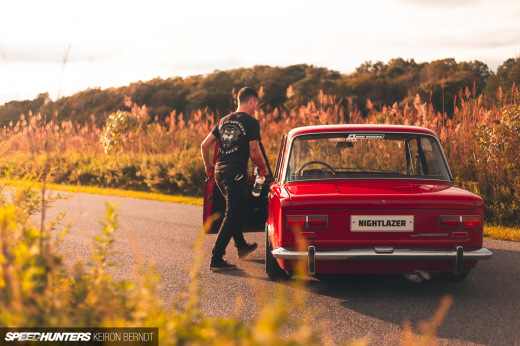 As seen through the lens of Mr. Paddy McGrath, Vern’s Benz is a perfect example of what can be done when you take an old luxury Euro and inject a bit of creativity and a strong dose of style. As it sat amongst the rows of later model European and Japanese machinery at the DMPD event, Vern’s car manged to stand out not because it was modified in an obnoxious way, but because it’s just not something you see often. 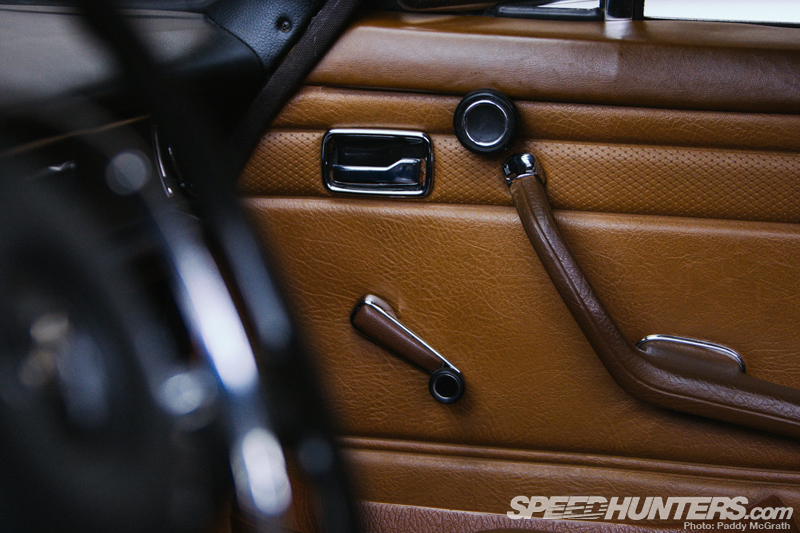 Vern’s W115 is a ’75, but one of the first things he did after acquiring the car was to convert the exterior and interior using a series one 1970 model as a donor. Among the parts swapped out during the change over are the front and rear lights, the front bumper, and the front doors with their vent wings. 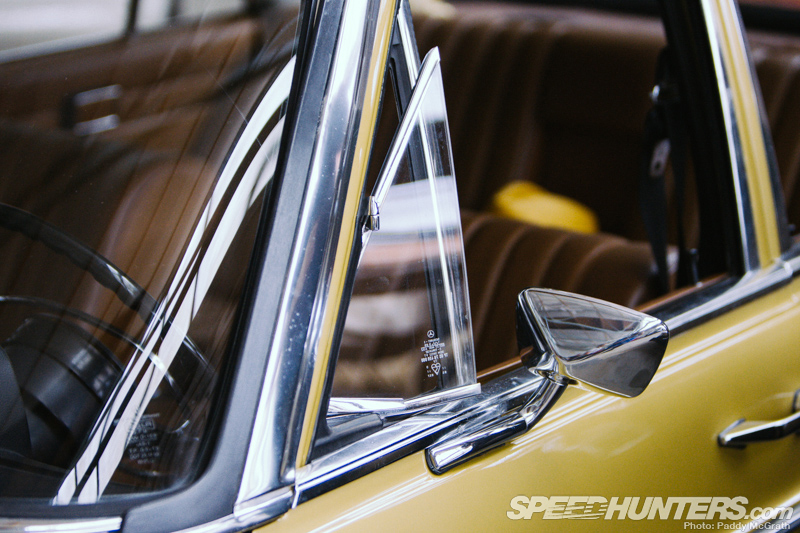 Vern also replaced a number of interior parts, including the front seats, door panels and that iconic steering wheel. Vern says the only real part that hasn’t been changed over is the trunk handle, which is shorter on the series two car. 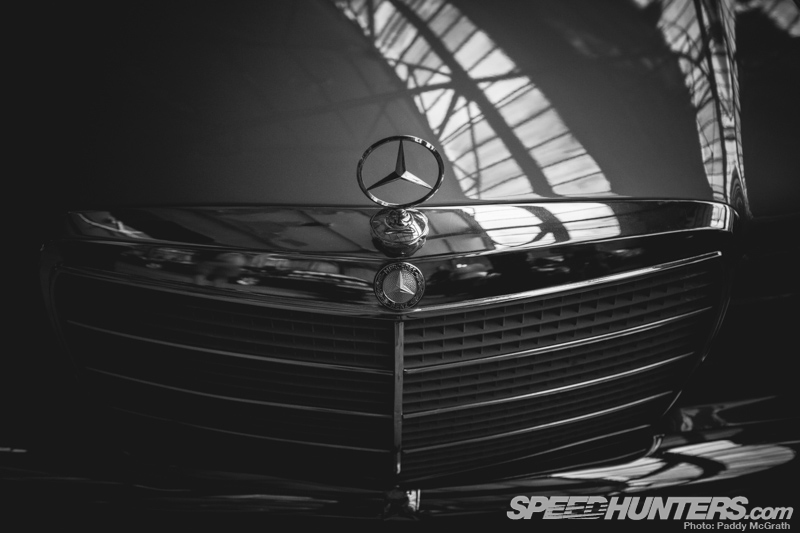 Aside from the backdating of certain parts, you won’t find any custom bodywork of aftermarket additions on the exterior of the Benz. Vern rightfully decided to stick with the simple and pure factory look. 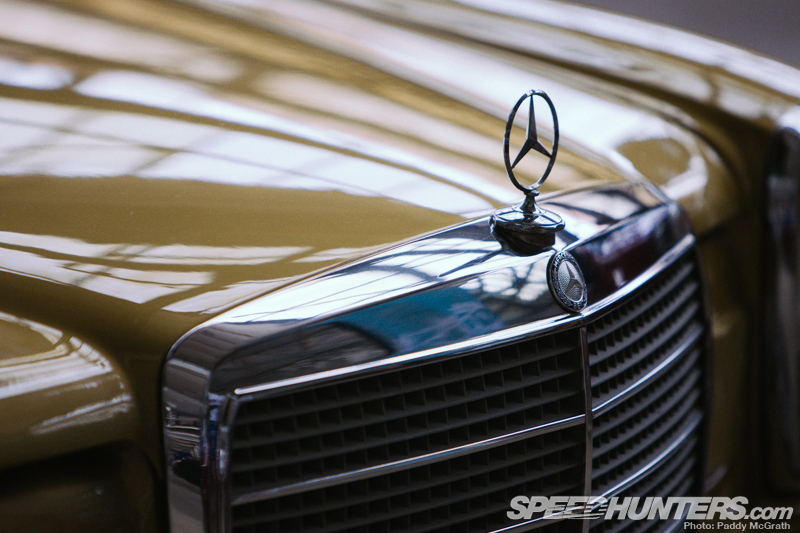 The classic bodylines are also coated in a shade of gold that couldn’t be more fitting of a ’70s-era Mercedes-Benz. In fact, the only real area where Vern has departed from original is in his choice of suspension and wheels. 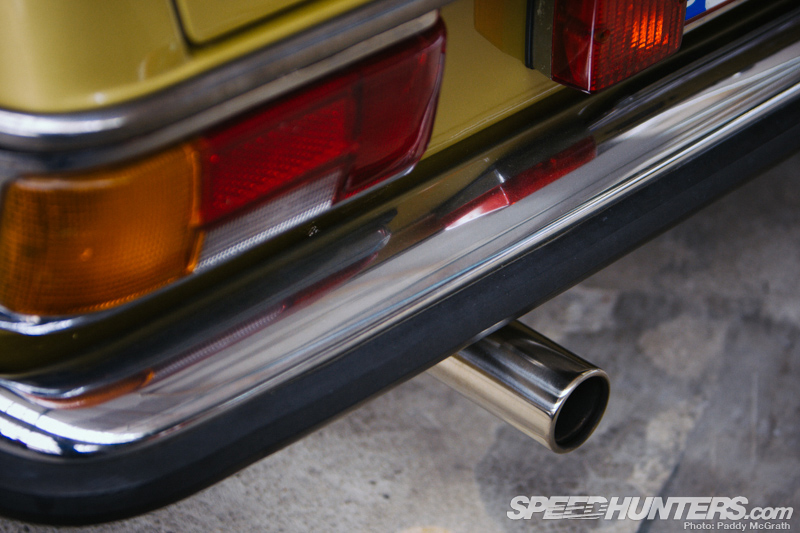 There’s just something right about a classic luxury car that’s kissing the pavement, and to achieve this look he installed a custom-built air ride system using parts from HPS and Gas. As part of the fabrication, the rear shocks were relocated and replaced with a set originally made by EMPI for Type I Volkswagen. At one stage the car wore a set of rusty wire wheels, but Vern soon replaced them with the set of BBS RC wheels you see here. 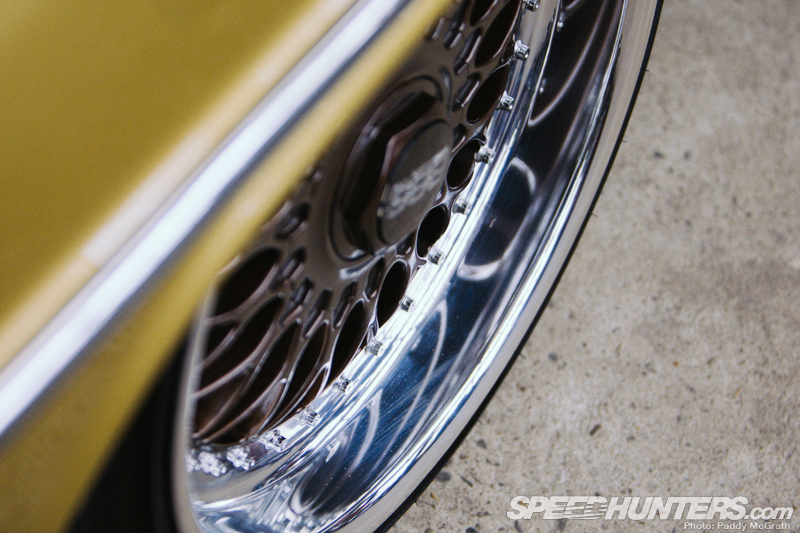 Originally made for a BMW, the customized BBS pieces measure 17×8-inch in the front and 17×9-inch in the rear. 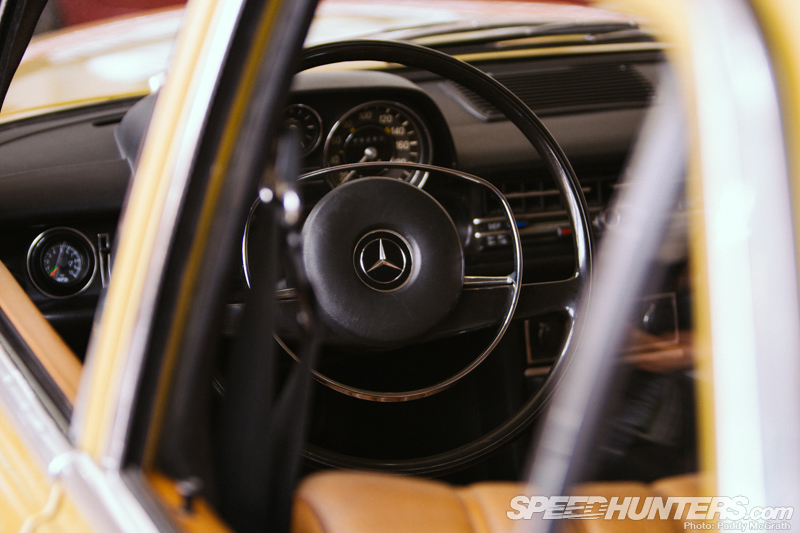 More recently he had the centers painted in a brown color that perfectly matches the W115’s retro gold body hue. 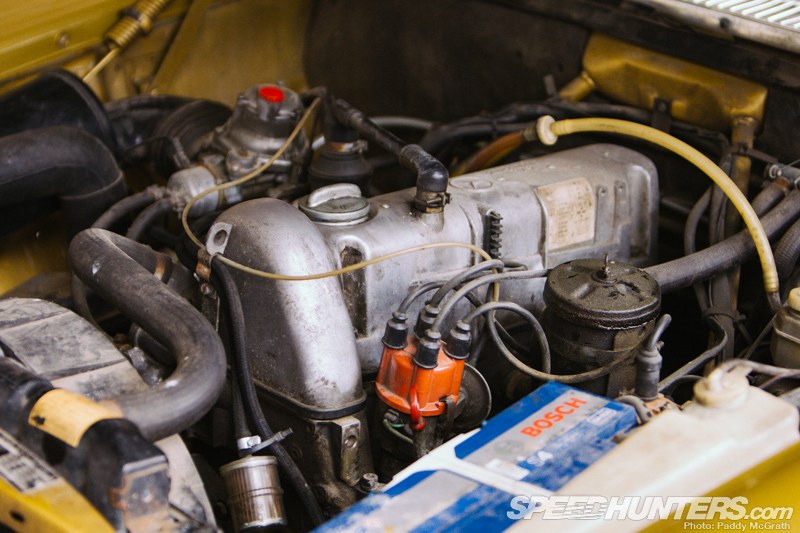 Pop the hood and you’ll find the original 2.43-liter four-cylinder motor still ticking and looking very much as it did when it came of the assembly line in 1975. 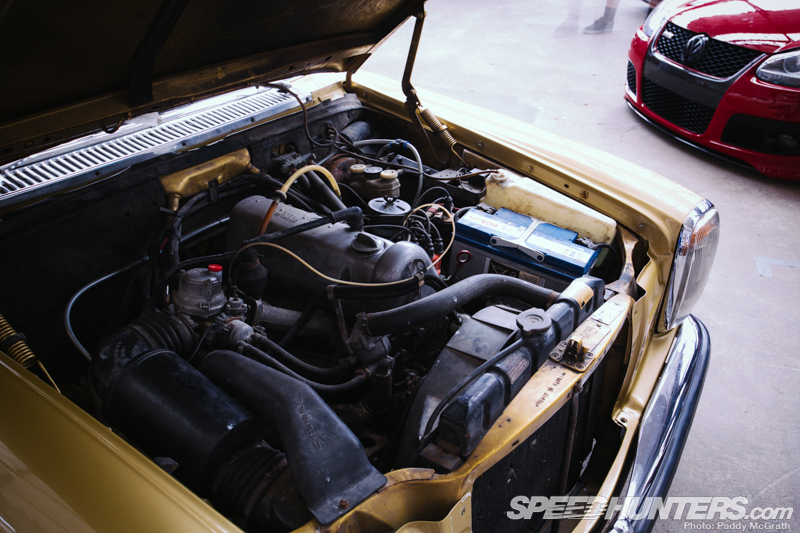 There are plenty of engine swap choices out there should Vern want more power in the future, but for now he seems totally content keep things mild and original. 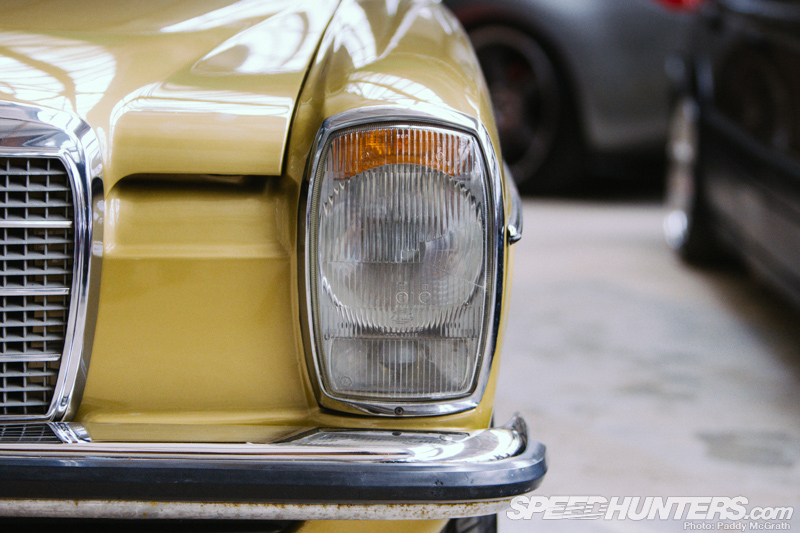 After all, this thing has been built to cruise – not be thrown sideways or win drag race events. 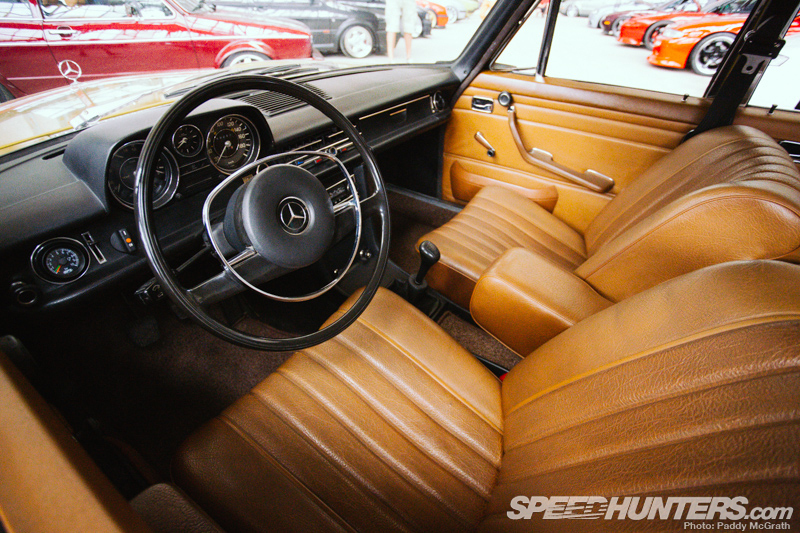 It’s not surprising then to also find that the interior has been kept extremely original – aside from the aforementioned swapping to earlier model parts in certain areas. And really, why would you want to go any other way on a car like this? 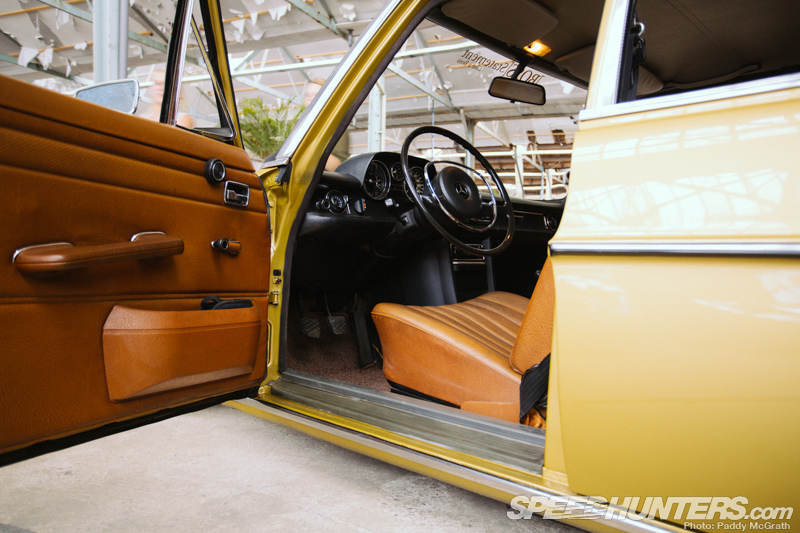 Aftermarket seats or other modern parts would just look so out of place in a cabin that’s all about vintage simplicity. 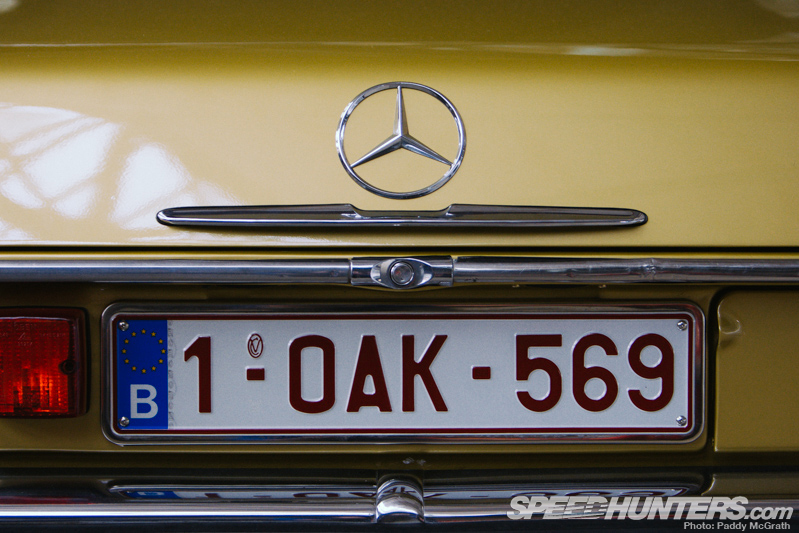 That’s really the beauty of this Mercedes. 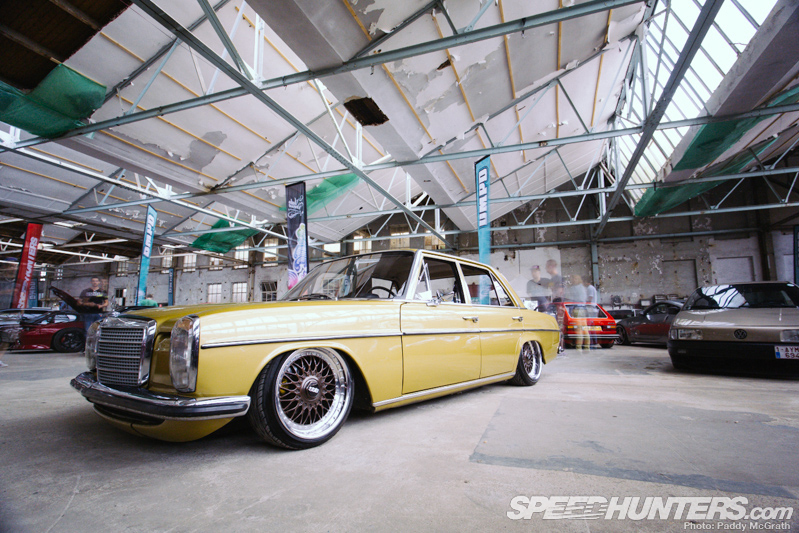 A car like Vern’s W115 is both stylish and unique enough in factory guise that it completely stands out. Toss in some air bags and a righteous set of wheels and you’ve got a fantastic cruiser on your hands. While it’s yet to be seen if builds like Vern’s are the start of a vintage luxury car revolution, I take no responsibility for this causing you to start scouring the local classified for a well-aged European cruiser of your own. Amazing!!! The car to own! 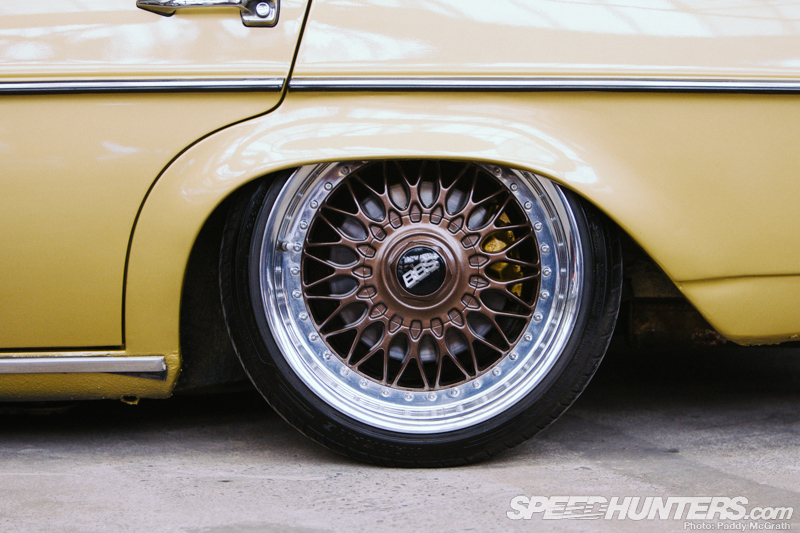 Well done...love the gold, the browns...perfect wheels and stance...full of attitude...rich punk! With all due respect, of course! Dig it!